The likely impact of the British Government’s public spending cuts on the North’s economy, the need for a united campaign of resistance against these cuts, and the need for control of the economy to be devolved to the Assembly have been outlined to An Phoblacht’s Emma Clancy by Sinn Féin Economy spokesperson Mitchel McLaughlin. THE BRITISH Conservative/Liberal Democrat Coalition Government is due to announce its austerity Budget on October 20th, following the Emergency Budget in June that made £6billion of cuts to public spending. The October Budget is expected to make unprecedented cuts to spending, with British Government departments’ budgets being slashed by up to 40%. In the June Budget, the North’s Executive was told to cut a further £128million from spending this year, on top of the £393million savings it already had to make. This has taken half a billion pounds from the block grant to the Executive, which is about £12billion annually. It has been reported that the block grant will be cut by £1.5billion to £2billion in the looming spending review in October. “The Tories’ agenda of cuts is rooted in the party’s traditional, conservative ideology and will actually threaten, rather than support, the economic recovery,” Mitchel McLaughlin told An Phoblacht. “Devolution adds complexity to the impact of – and resistance against – the public spending cuts in the North. Devolution gives ministers in the Six Counties responsibility for many issues but ministers have very little power to affect the economic situation. The Sinn Féin MLA said that the devolution of fiscal autonomy would empower the Executive to alter this situation and to address historic inequalities. “Westminster has used what’s known as ‘The Barnett Formula’ to determine the block grant, which has proved inappropriate and inadequate. It is a population statistic-based formula rather than an approach based on meeting objective need or addressing legacy issues such as discrimination, conflict and under-investment. “The Barnett formula is ostensibly aimed at achieving ‘parity’ with other regional economies but this has not been achieved. Real parity would mean that communities and individuals have access to the same quality of life and services as those who pay the same rates of taxation. On average, people in the North have about 80% access to services and quality of life as people in south-east England. “All of the Executive departments are already functioning at a deficit in terms of their Programme for Government commitments. Now the British Government is going to take more from these already-overstretched budgets in the October Budget. McLaughlin said that decisions are made in Westminster on the basis of what is ‘best’ for London and south-east England – completely detached from the specific needs of the North’s economy. “So long as economic sovereignty over the Six Counties is exercised by the British Government it will not be possible for the North to reach its full economic and developmental potential,” he said. The weak private sector in the Six Counties means that the public sector accounts for more than 70% of GDP and employs one-third of the workforce. There is also a higher dependency on benefit payments here than in Britain, another key target of the ConDem coalition. “So, disproportionately in the North, there are people and whole communities that are absolutely dependent on public services. In challenging the cuts, we need to bear in mind that we are dealing with a government that has always demonstrated a willingness to attack the public service,” McLaughlin said. He pointed out that both economies in Ireland, North and South, are under-performing as a result of partition. “The North’s private sector is under-developed in terms of competitiveness and productivity,” he said. On September 22nd, the Confederation of British Industry released a report calling for the “radical” overhaul of the North’s public sector, including job cuts, a pay freeze and pensions review. It also proposes privatisation and the introduction of water charges. The report has been slammed by trade unions as an attempt by profiteers to use the economic downturn as an excuse to sell off the North’s public infrastructure. McLaughlin said that some of the other parties in the Assembly share the Tories’ conservative ideological outlook and are happy to push for the privatisation of public services, for the introduction of water charges and other service charges, such as road tolls. “The British Government has announced it will also be publishing a White Paper on ‘rebalancing the economy’ in the North this autumn – which will inevitably promote the Tory agenda of privatising the public sector and cutting spending,” he said. “We agree that the weakness in the private sector should be addressed – but using measures that don’t raid the public sector. We agree that there are efficiencies and improvements that can be made to the public sector – but it’s very important to note that the line pushed by the Tories and other parties within the Executive that the public sector here is ‘over-sized and bloated’ is a myth. The Sinn Féin MLA explained that the expansion in private sector employment in the North since 2006-07 was not matched in a rise in wages or living conditions. “The employment rise was largely driven by an increase in call centres. The North was marketed internationally as a low-wage economy and it still is,” he said. Figures from August show the number of people claiming unemployment benefits in the Six Counties rose to 57,800. The Irish Congress of Trade Unions warned in August that, if implemented, the coalition’s cuts to the public sector might result in up to 40,000 further job losses in the North across the public and private sectors. Derry has the highest unemployment rate in the North, at 7.6% in August, closely followed by Limavady at 7.1%. “The legacy of failed economic policy and under-investment by previous administrations is still being felt west of the Bann and needs to be urgently addressed,” McLaughlin said. “The Coalition’s cuts are a recipe for mass unemployment but there is an alternative – it’s strategic public investment into job retention and creation. 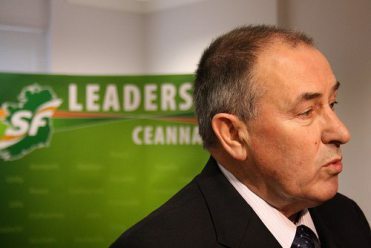 McLaughlin said Sinn Féin is determined to ensure that fighting inequality is at the top of the Executive’s agenda as well as the key priority of the party’s ministers in the Department of Regional Development (DRD), the Education Department and the Department of Agriculture and Rural Development. “The regional disparity that has developed and been entrenched over the past 90 years is going to take time to dismantle. “Our ministers in the departments we run are working daily to break down inequality and to improve the well-being of everyone in the community. “In the DRD, we have halted the process of the privatisation of our water and sewerage services and begun to reverse it, and we intend to extend public ownership and control over NI Water. “Agriculture Minister Michelle Gildernew is promoting the rights of small farmers and developing basic services and transport for rural communities – whereas the agriculture department in the past was very much focused on big farmers. “Our Education Minister, Caitríona Ruane, is battling powerful vested interests on the 11-Plus, which has huge ramifications for equality, having stratified our society and entrenched class inequality for many decades. It’s a difficult project but we are advancing on it and we will deliver it. “When we talk about the equality agenda, it is not mere rhetoric or aspiration. In the North, the equality agenda is codified in law through the Good Friday Agreement. Sinn Féin is the only party that consistently and seriously addresses this. “There are those in the senior civil service who view equality in cost terms – when actually it is about us as a society defending and advancing the rights of disadvantaged individuals and communities. So it’s a battle a day to change this approach. “Sinn Féin ensured that the Executive’s last Comprehensive Spending Review budgetary process was subjected equality screening and the party is determined that this will be built upon in 2011 with a core equality impact assessment procedure central to the process. “But the current situation is extremely challenging – if the Westminster Coalition Government proceeds with major cuts to public services and a big reduction to the block grant then it may tip the balance and result in a significant crisis,” he said. “As a party we are looking to build an alliance with the trade union movement and the community and voluntary sector to resist the cuts and to defend frontline services,” Mitchel said. “The public sector did not create the economic crisis – it was the private sector. “We should not accept the inevitability of cuts. We should focus our minds on challenging them. All parties should agree a common approach in all of this. “We need to enter into a negotiation with the British Government to resist cuts and secure proper control of the economic levers which will allow us to map a way out of the current recession and to protect the most vulnerable and those experiencing disadvantage at the same time. “We need to plan to grow the economy and all options must be on the table. This includes the development and harmonisation of the all-island economy. The existence of two currencies, two different tax and social welfare regimes, two health services, and so on, all restrict our ability to effectively tackle the effects of the recession. “We need to end needless duplication and develop efficient systems that benefit everyone on this island. THE British Tory/Liberal Democrat coalition has announced that it will immediately make £6 billion in public spending cuts this year in order to begin reducing the state’s £163bn deficit. 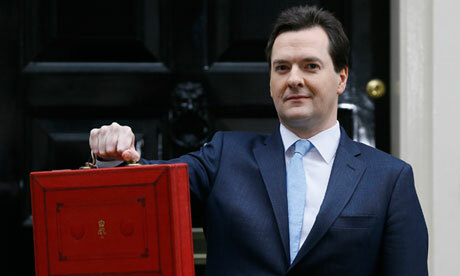 The coalition will reveal an emergency budget on June 22nd, with further cuts to be implemented this autumn. The announcement comes as no great surprise – it was a Tory election pledge, while the Lib Dems and Labour both campaigned against such immediate cuts, saying the move would threaten Britain’s fragile economic recovery and threaten to push it back into recession. While the North’s Executive will not be affected by this round of cuts this year, it will be expected to “pay back its share” of these spending cuts as well as make further spending cuts next year. Sinn Féin has called for a united front of all parties to formulate a plan of action in the Executive to effectively resist major cuts to the block grant or the North’s public services. Among the initial measures in Britain will be a freeze on recruitment to certain vacant public sector jobs and the sacking of agency and temporary workers. With unemployment in the state now at 2.5 million people, trade unions are preparing for a campaign of industrial action to halt the new government’s plans to cut jobs and pensions and further privatise public services. ‘Reducing the state deficit’ has become the mantra of governments across Europe as the global financial crisis, which hit world markets in 2008, has entered its second phase – the ‘sovereign debt crisis’. The United States, Britain and the Eurozone countries have collectively given the banks more than $14 trillion since September 2008. But the massive state intervention into markets has been aimed at nursing the banks and financial institutions back to the condition where they could carry on as they had before the collapse, rather than taking them into permanent public ownership. Now, the political sponsors of the financial elite argue, begins the age of austerity – when the public deficit caused by the bail-out is to be reduced by cuts to public spending. In response to several downgrades in Greece’s credit rating since December last year, European Union members and the International Monetary Fund initiated plans for a ‘financial safety net’ in March aimed at guaranteeing loans for member states under threat of defaulting. On May 10th, the EU agreed the terms of the ‘safety net’, its biggest bail-out package since 2008, which consists of about €750 billion. There is €440 billion in guarantees from Eurozone states, €60 billion in a European debt instrument, and €250 billion from the IMF. Of course, any vulnerable state that needs to avail of this assistance will have to agree to harsh spending cuts and other conditions. The Dublin Government has been voluntarily implementing brutal ‘austerity’ cuts in public spending since 2008 to reduce the state deficit. Other states with high levels of public deficit (5-10% of GDP) – Portugal, Spain and Italy – have begun implementing similar cuts this year. After Standard & Poor downgraded Portugal’s credit rating last week, the Portuguese Government said it would rush through spending cuts planned for next year. Spain’s rating was also downgraded last week by S&P and the government announced further spending cuts of €15 billion in 2010-11. On May 9th, German Chancellor Angela Merkel’s centre-right coalition lost an important state election in North-Rhine Westphalia, and its majority in the upper house, after committing to making the largest national contribution to the Eurozone ‘safety net’ package. Greece – which has a fiscal deficit of about 10% of its GDP, similar to the US’s and less than Britain’s – was forced to accept a “rescue package” of €110 billion this month after its credit rating was downgraded to junk status by the same agencies that played a major role in causing the global financial meltdown in 2008. The package of loans and guarantees came with conditions of major public spending cuts, including cuts to public service jobs and pensions, raising the retirement age, privatisations and more – provoking outrage among the Greek population and a general strike that shut down the country on May 5th. Economist Michael Burke pointed out in ‘An Phoblacht’ last week that the bail-out is not aimed at reviving the Greek economy. “The targeted beneficiaries of the bail-out are the holders of Greek Government debt. These are mainly German, French, British and US banks,” he wrote. Several things are clear from the latest crisis in Europe, which has arisen as a result of the response to the 2008 crisis. The states with the highest debt-to-GDP ratio are those that have implemented cuts rather than stimulus measures to deal with the recession. The Greek/Eurozone crisis, like the global financial crisis, is largely the result of shady financial speculative practices that were not reined in and regulated after the 2008 collapse. EU leaders charge Greece with masking its true debt level since entering the Eurozone in 2001. Goldman Sachs helped the Greek Government do so by turning its public debt into tradable ‘derivatives’. Goldman Sachs and other financial institutions were then able to gamble on Greece defaulting. This speculation fuelled the “loss of market confidence” that saw the state’s credit rating downgraded to being a risk for investors. France, Germany and Italy have also turned their public debt in tradable derivatives. The financial crisis has not passed but has entered a new phase of public debt and the nationalised debt is being repaid by states’ cuts to public spending. Political, economic and social policy decisions have been totally subordinated to the market. It is also clear that Eurozone leaders are trying to ensure that the weaker states in the zone are forced the bear the brunt of the most severe public spending cuts. The strongest members are embarking on a drive to reduce member states’ independence in fiscal policy matters. 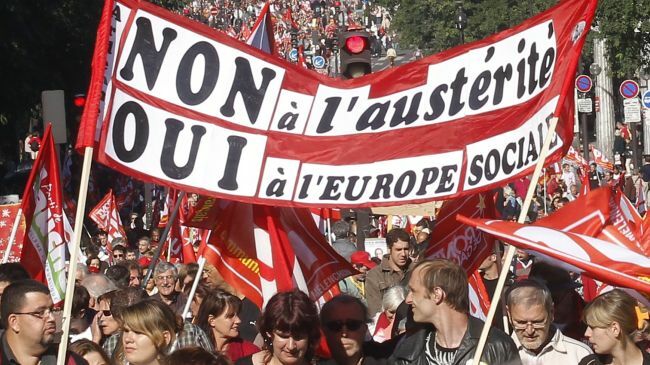 If the austerity measures are successfully implemented in Greece, workers in Ireland, Portugal, Spain – and then the rest of the Eurozone states – will be next. NEXT year will mark the centenary of the foundation of the Irish Transport and General Workers’ Union, the forerunner of SIPTU, Ireland’s largest trade union with more than 200,000 members. SIPTU’s general president Jack O’Connor spoke to An Phoblacht’s Emma Clancy this week about the union’s plans to celebrate 100 years of fighting for workers’ rights and the key challenges facing the trade union movement today. JACK O’Connor explained that the foundation of the ITGWU by Jim Larkin in 1909 will be marked by SIPTU through a series of events throughout the year that, as well as marking the establishment of the union, will also commemorate key events including the Dublin Lockout and the execution of James Connolly. “We want to celebrate a century of working for the rights and interests of working people and we invite all trade unionists, republicans and progressive-minded people to join us in doing so,” he said. O’Connor told An Phoblacht that the wealth generated during the Celtic Tiger years was squandered by Fianna Fáil-led governments instead of being strategically invested in order to achieve sustainable growth. “With the global crash of the debt-ridden, unregulated financial market, we’re seeing the collapse of the neo-liberal model that the Irish governments and business have given slavish adherence to over the past 10 to 11 years,” he said. O’Connor said that the Irish Government is facing something of a collapse in the public finances and a deficit of €8 billion in projected income. 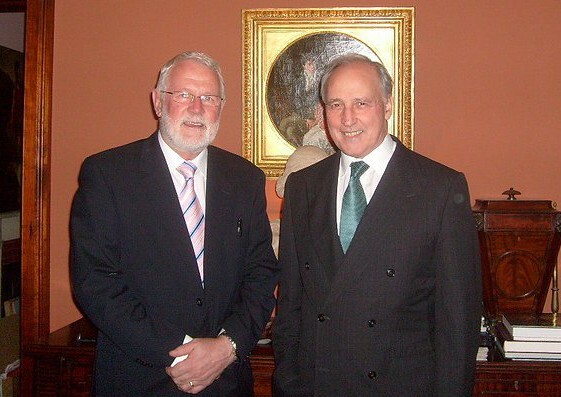 “But the road it has chosen to go down in the Budget 2009 not only tries to shift the burden of paying for the crisis onto those least able to bear it, it is directly exacerbating the economic downturn,” he said. SIPTU has pointed out that there has already been a reduction in the wages of workers across both the public and private sectors since 2005 in real terms, after inflation is taken into account. O’Connor explained that consumption in Ireland accounts for 48 per cent of the GDP and that the Budget 2009, by imposing a one per cent income tax levy on low and average-paid workers and raising VAT, has reduced the amount of money ordinary people can spend. He said this dampens the economy when demand needs to be stimulated and will cause the further loss of jobs. As part of the latest social partnership negotiations a statewide Transitional Pay Agreement was reached in September between the government, employers’ groups and most trade unions, including SIPTU. For the majority of workers covered the agreement provides for pay increases of six per cent over 21 months, with a 0.5 per cent additional increase for the low-paid. It also allows for a three-month pay pause in the private sector and an 11-month pause in the public sector. Following the announcement of the deal, Sinn Féin slammed the government for its failure to deal with the issue of low pay, pointing out that the 0.5 per cent increase would amount to about an extra five cents per hour for low-paid workers. Unite members voted to reject the pay deal. Responding to the recent call by Fine Gael leader Enda Kenny for a suspension of the pay deal, O’Connor warned: “Given the severity of the crisis and the need for stability to regenerate the economy and given the modest nature of the pay deal, the government should be loath to touch the agreement. “SIPTU utterly rejects the reactionary call by Fine Gael and by some within the governing coalition to renege on the Transitional Pay Agreement. First and foremost because public service workers have a right to receive a pay increase in line with inflation to maintain living standards but also because the suspension of the pay deal would exacerbate the economic recession and collapse consumption by seriously undermining workers’ ability and confidence to spend. The Construction Industry Federation (CIF), one of the sectors that profited most through the social partnership during the boom, has rejected the Transitional Pay Agreement and has sought a 10 per cent pay cut across the board for building workers. “For the CIF to reject the agreement is short-sighted in the extreme,” O’Connor said. SIPTU and other trade unions covering workers in the construction sector have called on the government to refuse to award public contracts to builders that refuse to adhere to the pay deal. “We will be insisting that the government honours its obligations under the agreement to ensure that only those employers who adhere to national pay policy qualify for publicly-funded contracts,” O’Connor said. SIPTU is working with the other construction unions to develop a campaign to protect workers’ pay and conditions independently of the social partnership process. O’Connor said that the one per cent income tax levy essentially cancels out the 0.5 per cent additional pay increase for low-paid workers and acts as a brake on consumption. “The government has stated its aim to cut public expenditure next year in order to balance the budget,” he said. “But we already have among the lowest level of public spending in western Europe. O’Connor said: “The government should raise the top rate tax from its current 41 per cent back to 42 per cent and increase tax on non-residential property. In my view there is definitely a public willingness to accept that those who are better off as a result of the boom ought to pay higher tax on their wealth. O’Connor outlined the strategy that SIPTU is advocating the government pursue in order to prevent further job losses and facilitate economic recovery. In addition to reversing the disastrous budget cuts on social services, and progressive taxation reform, SIPTU proposes that the government borrow strategically and expand its capital expenditure programme to ensure employment and stimulate growth. O’Connor pointed out that the Dublin government is in a better position than most to engage in short-term borrowing with a net debt to GDP ratio of under 40 per cent, in comparison to an average Eurozone debt to GDP ratio of about 65 per cent. “The government needs to restore confidence to the point where money is circulating in the economy in order to prevent massive job losses,” O’Connor said. As well as public borrowing, SIPTU and the Irish Congress of Trade Unions are advocating the recapitalisation of the banks under public control, with protection for homeowners against repossession. 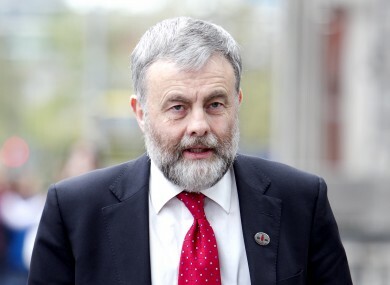 SIPTU has reported that following the massive government guarantee for the banks, Irish banks have now cut back drastically on lending to individuals and small and medium-sized enterprises in an attempt to improve their loan to deposit ratio. Specifically, SIPTU is proposing that recapitalisation happen through a preference share issue by the state from the National Pension Reserve Fund. Discussing the announcement by Taoiseach Brian Cowen last week at the EU summit that he would rerun the Lisbon Treaty referendum in the 26 counties by next October, O’Connor explained SIPTU’s position on the treaty. 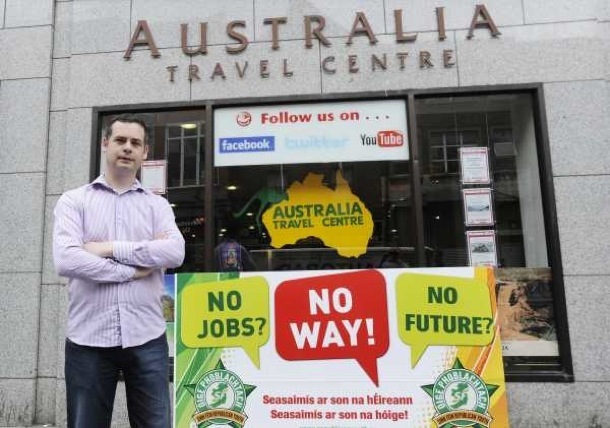 “Irish workers have and will endorse ‘Social Europe’ but they will not support the savagery of the unfettered free-marketeerism and the ‘race to the bottom’ in the workplace which has become pre-eminent in recent years,” he said. “When the Lisbon Treaty went to a referendum in June, SIPTU refused to call on its members to support it unless the Irish Government committed to domestic legislation enshrining the right to collectively bargain. “The Charter of Fundamental Rights did not contain any significant shift or step forward for workers’ rights as some on the left claimed. Recent rulings by the European Court of Justice, combined with the fact that Ireland has no domestic legislation in place protecting the right of workers’ to collectively bargain or to protect workers from being targeted for their membership or activity in a trade union, gave working people little confidence in the government’s call for a yes vote. “We won’t be departing from our insistence that legislation must be passed here before SIPTU would agree to support Lisbon. And we don’t believe the same proposition should be put to referendum again as it’s a rejection of the democratic will of the public who just voted in June to reject it. The SIPTU general president said, “What we are seeing internationally is global capital attempting to make working people pay for a crisis not of our making. “In Ireland, we have these past five years been living through the most savage and sustained attack on the rights, wages and living standards of working people we’ve seen in at least 30 years. “The attack has been two-pronged – based on the one hand on the exploitation by corporations of vulnerable migrant workers through employment agencies, which has seen a drive towards casualisation and a race to the bottom. “The other key aspect of the attack has come from the government in the form of cutbacks on social services and an ideological campaign against public sector workers – paving the way for open attacks on the public sector. “There is no doubt that the recession is prompting the intensification of these attacks and we can see that in the budget, in the response to the pay deal by the CIF, in the suggestion from Brian Lenihan that the public sector workers’ pay increase needs to be revisited. O’Connor explained that “SIPTU has been leading a progressive campaign for legislation that will combat and prevent the exploitation of these workers in and of itself and as a means to undermine established wages and conditions in this state. O’Connor described the key challenges facing the trade union movement in Ireland as being to secure legislation on a range of workers’ issues including the right to collective bargaining and industrial action, trade union recognition and further legislation to combat exploitation and social dumping. O’Connor described the effort by SIPTU since 2004 to transform from a service-based union to one based on the organising model of trade unionism, which aims to overcome the steady decline in union membership that has taken place in most countries since the 1970s. “In July we had a conference that tried to bring together the past five years of analysis and preparation to examine how to move forward with the necessary restructuring,” he said. He said that SIPTU has made slow but steady progress in moving towards the organising model, which aims to make joining and participating in union campaigns easier for workers who are not in unionised workplaces.